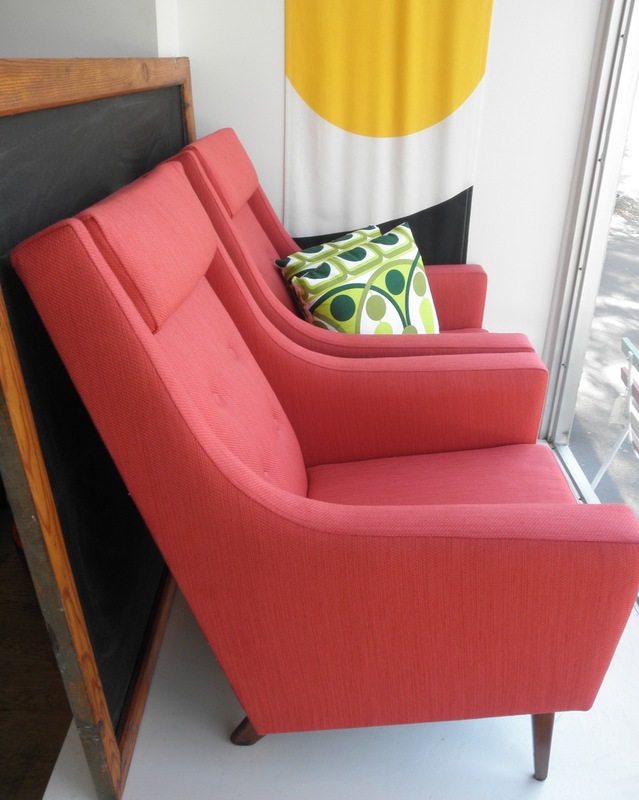 This pair of fantastic modernist armchairs have the best side profile and button detailing on the fronts. We have had our upholsterer do them in original danish vintage heavy duty wool fabric. It has a shot silk type fleck and a cross weave making it a really interesting fabric, it’s also a great lipstick pink red so has some real impact. 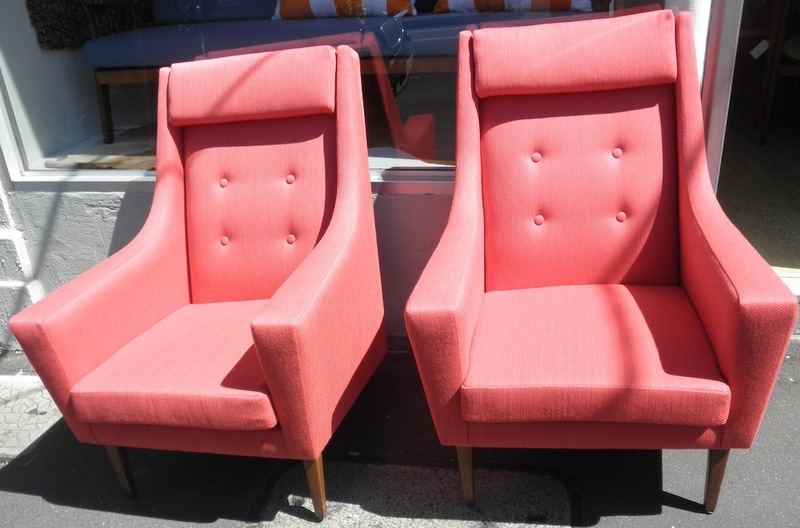 I can’t identify the chairs as they had the tags removed at some point but they are reminiscent of Fler in the tapered squared legs and build quality.